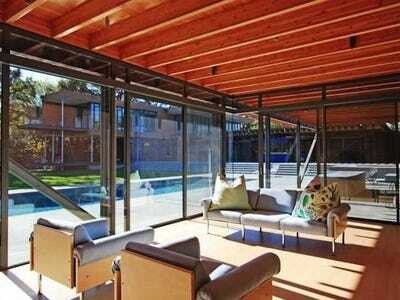 A glassy four-bedroom home in Sacramento, California has hit the market for $US6.5 million, Curbed reports. 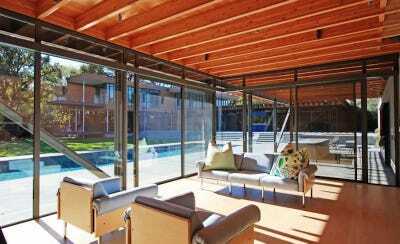 The home was designed by renowned architect Peter Bohlin, who worked on Apple’s iconic glass cube store in New York City, as well as Bill Gates’ massive $US123 million mansion. This home may not be as iconic as those buildings, but it will be the most expensive home ever sold in Sacramento County if it goes for asking price. 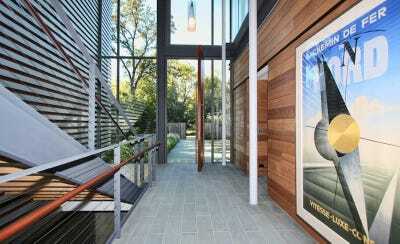 Fans of Gates and Apple store architecture may recognise some features in this house. 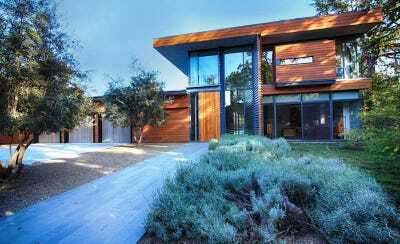 The house is located in Sacramento, California. The timber-and-glass design is reminiscent of Bill Gates' Seattle area home. Rooms are situated over three floors. The living room is fairly open. It overflows into the kitchen and dining area. Here's one of two kitchens in the house -- it's open, with plenty of cabinets and exposed wood beams. 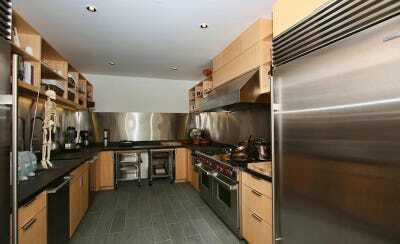 The second kitchen has even more storage space. There's also a more formal dining area. An office has large windows that look out on the yard. 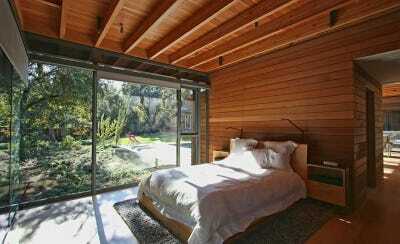 Here's one of the house's four bedrooms. 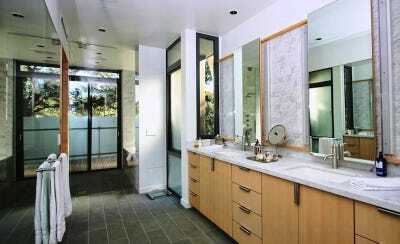 And here's a look at the master bathroom. A set of stairs leads down to rec rooms and a media center. A screening room is set up with comfortable couches. There's also a large gym nearby. Marble floors make for a sleek look. 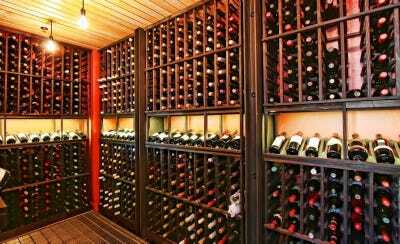 A wine cellar has lots of room for the owner's collection. This pool deck would be a pleasant place to lounge in the sun. A guesthouse overlooks the pool. The guesthouse has one bedroom and two baths. Now read about one of the firm's most famous projects.